I happened to be over at Bookbub looking at their ebook deals this morning. So I thought I’d share some of the deals I found. This is often where I’ve often found ebooks to read. More about that below. Lately I’ve been getting ebooks for my Kindle from NetGalley. It is a site where you go to request ebooks. If you’re actively reviewing ebooks there NetGalley is more apt to okay your request. NetGalley gives free ebooks to librarians, book sellers, and bloggers who review books. It’s an ordinary morning. Charlie is next to me on a quilt. Ivy is at the patio door watching birds. For the last few days a mockingbird has been on the patio taunting her. It sits a few feet from the window. Ivy’s tail thwap-thwap’s back and forth on the floor in frustration. I’ve rescued two of Ivy’s spring toys from underneath the living room chair. I also found a wooden acorn under there from fall decorating. Yesterday I went down to pay my rent and asked the manager about my patio door. She said I would get it installed within the next week or so. They have to get it okayed and scheduled with the contractor. The first estimate was $1400. They balked at that price. Until they got the second estimate: It was $4000. So yes, they’re going with the first guy. It should be a French door I believe, but the kind that doesn’t have all the panes in it. I don’t particularly relish the idea of having all those panes to clean in between anyway. For them to get an actual glass patio door like I have now, it actually costs more than the French door with no panes. For a limited time this ebook is $1.99. I read this book and truly loved it. It was surprising till the end. Imagine you come home and someone has moved all your furniture out. And moved all of theirs in. Here’s my review. 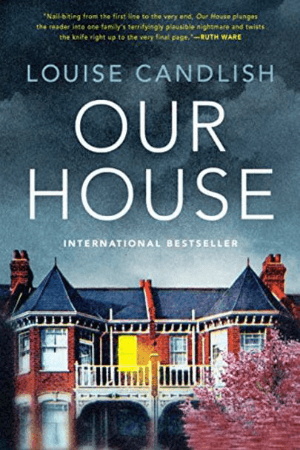 When Fiona Lawson comes home to find strangers moving into her house, she’s sure there’s been a mistake. She and her estranged husband, Bram, have a modern co-parenting arrangement: bird’s nest custody, where each parent spends a few nights a week with their two sons at the prized family home to maintain stability for their children. I don’t know how long these deals are good for. It doesn’t say. I know I’ve read the three following books, but I cannot find reviews. Either I read them before I started reviewing books or they’ve somehow fallen through the cracks. For a limited time this ebook is 99 cents. 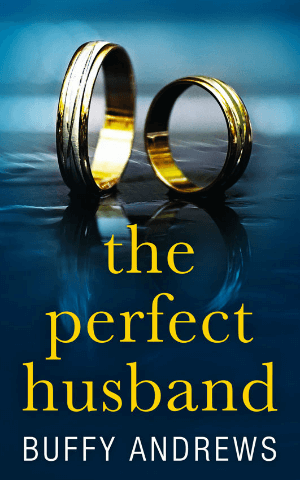 When Shelly’s marriage ends in divorce, she’s left completely devastated and feeling like she’s never going to find love again. Shelly can’t believe her luck. The first person she meets after (reluctantly) joining online dating, and he’s handsome, caring, everything she ever wanted and more. From romantic dates to expensive gifts, it’s as if she’s in a dream. But just when Shelly thinks she’s finally found her happily ever after, she begins to realize that all is not as it seems. As the cracks start to develop, perhaps Eric isn’t the perfect man she thought he was. Will her dream become a nightmare? 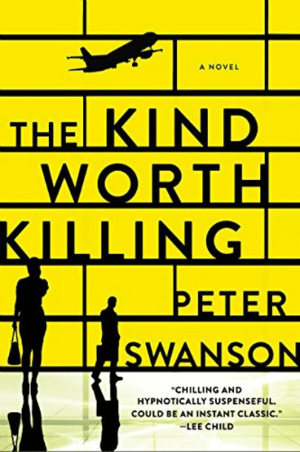 In a tantalizing set-up reminiscent of Patricia Highsmith’s classic Strangers on a Train… On a night flight from London to Boston, Ted Severson meets the stunning and mysterious Lily Kintner. Sharing one too many martinis, the strangers begin to play a game of truth, revealing very intimate details about themselves. Ted talks about his marriage that’s going stale and his wife Miranda, who he’s sure is cheating on him. Ted and his wife were a mismatch from the start—he the rich businessman, she the artistic free spirit—a contrast that once inflamed their passion, but has now become a cliché. But their game turns a little darker when Ted jokes that he could kill Miranda for what she’s done. Lily, without missing a beat, says calmly, “I’d like to help.” After all, some people are the kind worth killing, like a lying, stinking, cheating spouse. When eight-year-old Vinni Stewart disappears from a Jersey shore town, Maddy, her distraught single mother, begins a desperate search for her daughter. Maddy’s five-year journey leads her to a bakery in Brooklyn, where she stumbles upon something terrifying. Ultimately, her artist neighbor Evelyn reconnects Maddy to her passion for painting and guides her to a life transformed through art. This week we’re going to focus on saving money and figuring out ways to lower our bills. 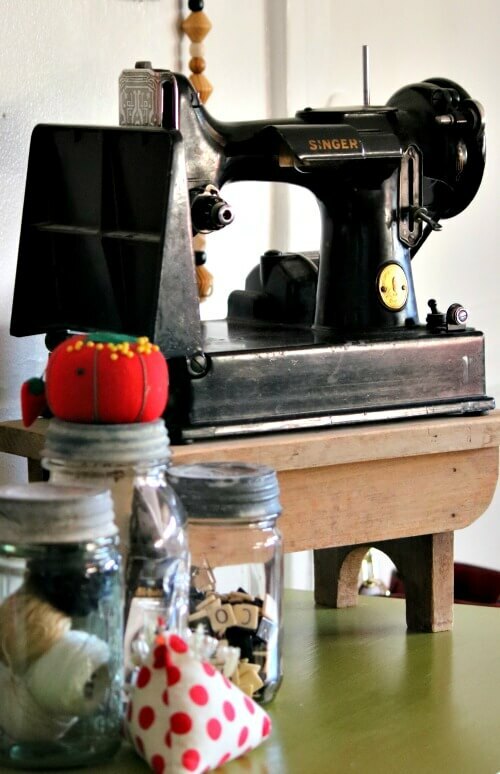 I will see your tomorrow for Friday Frugal Tips: Saving Money/Cutting Costs. I got the e-book Our House just the other day, now I’m looking forward to finishing up my current book so I can read it. This post was helpful to me, I’ve always read a lot and now my eyesight is so bad I read only on my kindle where I can adjust the font size. When you review new actual books there’s nothing there for me, because I am too frugal to buy a book and now I’m scared of the bed bugs in library books. This whole frugal series is timely because my husband was just forced to retire from his 41 year old job this week!! I always love your book reviews and recommendations. 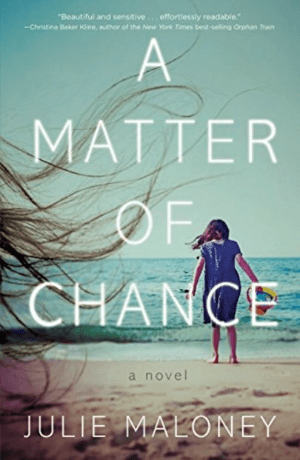 I just got A Matter of Chance for .55 on Amazon Kindle just now! Whoo Hoo! I love when you post book suggestions – I’ve read many of the books you suggest and I always love them. I am sticking with FREE books now, through my library. It kills me to think how much money I spent on books through the years, when all the time I could have been getting them for free! I absolutely love my library and use it frequently both hubby and I. Here in Ga we have what they call a Pines system. Not every library belongs to it (but should) and if you want a book your library doesn’t have then you type in all libraries and which library has it will send it to my library. It’s a great system and I’ve read a lot of books that come from other locations. These books sound great. I read Our House last year and enjoyed the suspense. Presently I am reading A Captain’s Duty by Richard Phillips. He was captain of the cargo ship that Somali pirates briefly captured a few years ago in the Indian Ocean. A fascinating read full of good writing and has kept me on the edge of my seat. He shares about his own life and how he became a captain of the merchant marine, his strong devotion to his family and how that strengthened him as was held hostage. I have learned so much about these seamen and the dangers they encounter on these ships from not only present day pirates but the dangerous seas as well. The cargo they carry is critical to the well being and functioning of people all over the world. Something I had never been exposed to before and it has expanded my horizons. Well worth the time to read it. I like your e book suggestions. They all sound great. Wow that is great you will get a new door for your patio. That will probably save on energy bills too. Everything is so expensive these days to replace. Glad they are agreeing to get this done for you. 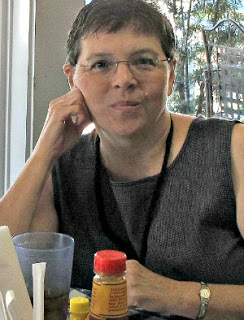 Brenda, the books you’re reading and tell us about, are they new books that haven’t been released yet? Or should they be on the market by now? I’d really like to read the Julie Maloney book but I don’t have a kindle or any other thing I can read online. I go to the library. Brenda, thank you so much for the suggestions on the books. I love to read but hate the cost, even at the Half-Price book store! Have a great weekend! Love and hugs!